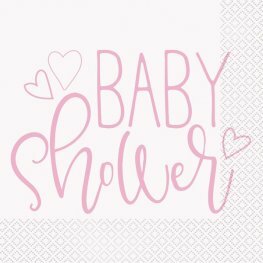 Shower With Love Baby Girl Paper Plates. 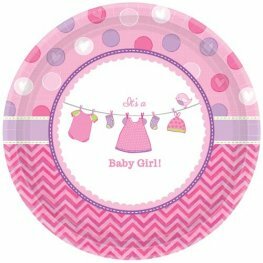 These Baby shower Paper Plates Are 26cm Each With 8 Plates Per Pack. 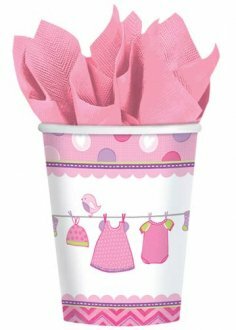 Shower With Love Baby Girl Paper Cups. These Baby Shower Paper Cups Hold 266ml With 8 Cups Per Pack. 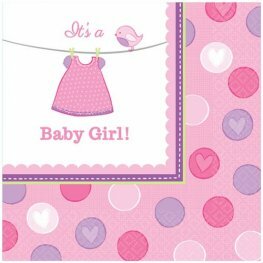 Shower With Love Baby Girl Luncheon Napkins. These 2ply Baby Shower Napkins Are 33cm x 33cm With 16 Napkins Per Pack. 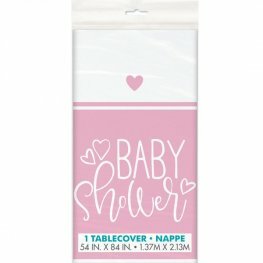 Shower With Love Baby Girl Paper Table Cover. This Baby Shower Paper Tablecover Is 1.37m x 2.59m With 1 Table Cover Per Pack. 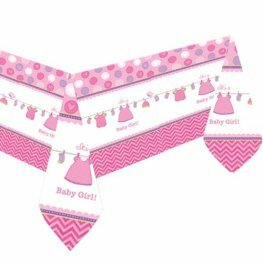 Shower With Love Baby Girl Pennant Flag Banner. 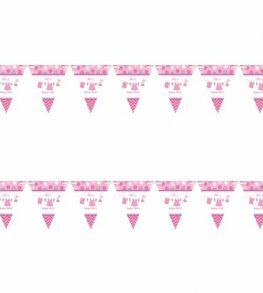 This Baby Shower Banner Is 4.5m Long With 24 Flags Each Pennant Is Approx 1.8m x 2.1m. Pink Baby Shower Hearts Party Paper Plates. 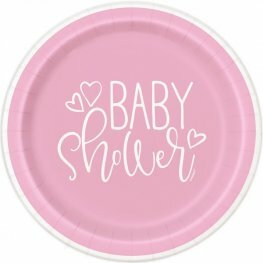 These Wholesale Baby Shower Paper Plates Measures 9 Inches. With 8 Plates Per Pack. Pink Baby Shower Hearts Party Paper Lunch Napkins. These Wholesale Baby Shower Paper Napkins Measures 33cm x 33cm. With 16 Napkins Per Pack. Anagram Shower With Love Baby Girl 18 Inch Wholesale Helium Foil Balloon. 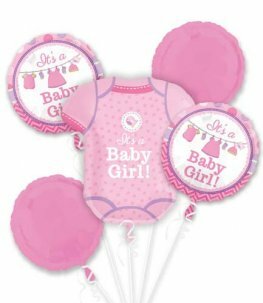 Shower With Love Baby Girl Baby Grow 22 Inch 55cm x 24 Inch 60cm Wholesale Supershape Helium Foil Balloon.